In my never-ending quest to find things to do in Edmonton, I found myself checking out the Plaza Bowling Co. at 10418 118 Avenue this weekend with friends Fred and Catherine. 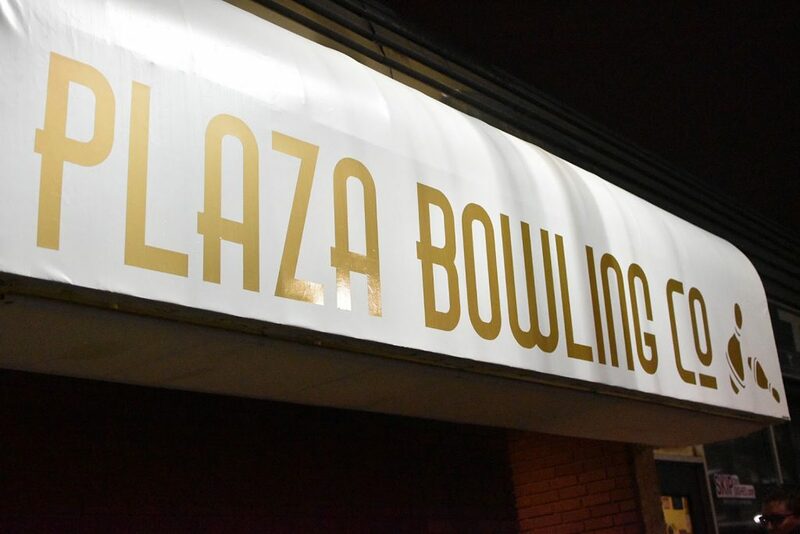 I’d heard of the Plaza Bowling Co. before – when I used to go to school at NAIT and then work at NAIT – I saw it among other shops along 118 Avenue. To be frank, the storefronts for a lot of those shops over the years left a lot to be desired (a lot of faded awning and old signage), but recently those shops have been getting some facelifts – Plaza Bowling Co. included. Plaza Bowling Co. at 10418 118 Avenue. My friend Sharman actually put the Plaza Bowling Co. in my mind recently. She shared the story about how the third-generation bowling alley recently got a revamp and I was looking forward to checking it out! 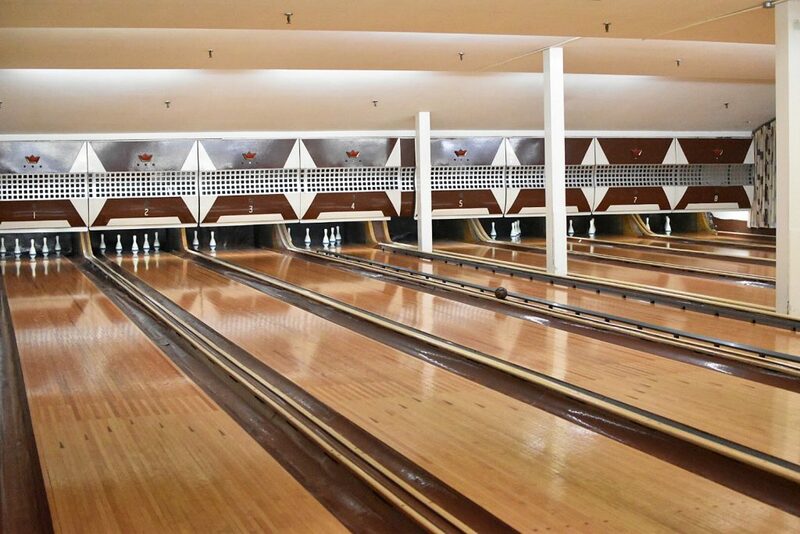 Plaza Bowling Co. is located in the basement of the building, and has a really cool, retro feel to it. 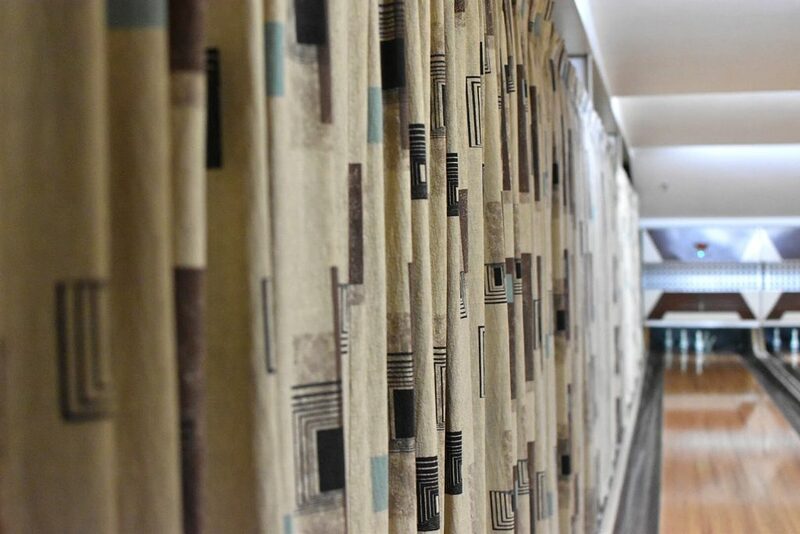 The business first began in 1959 (rolling since 1959, they say) and to this day still has its original wood panelling, vintage racks and funky curtains. Amazing how well-maintained the space has been over the years. 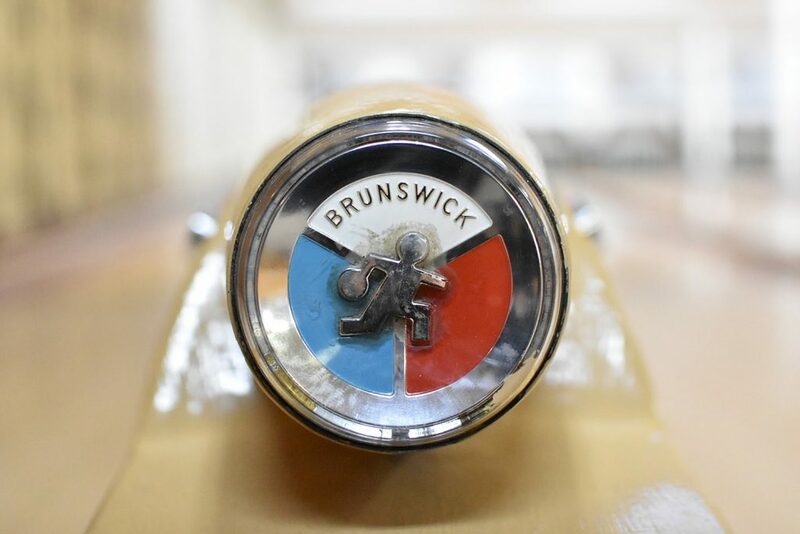 At Plaza Bowling Co., you’ll play 5-pin bowling – which, during my mini-research for this post I discovered is a Canadian invention and apparently only played here in Canada! 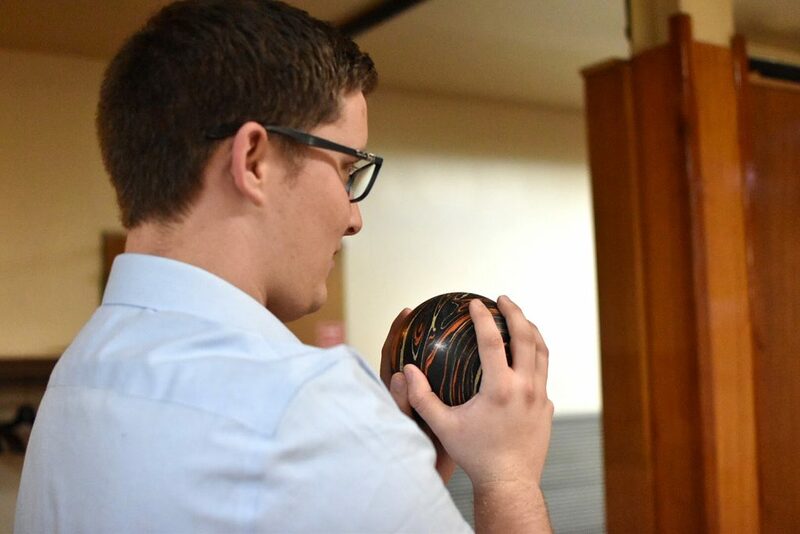 5-pin bowling uses smaller balls (that don’t need finger holes and fit really in the palm of your hand). In 5-pin, the pins are worth different points depending on where they’re located (in the V formation). Sunday night at the Plaza Bowling Co. was busy! There are 16 lanes at Plaza Bowling Co. and when we went on Sunday night, it was packed! Almost all of the lanes were full. There were lots of groups there and – to borrow a retro saying – it really felt like Plaza Bowling Co. was the happenin’ place to be that night. Cute little balls in 5-pin bowling. Since their revamp, Plaza Bowling Co. is also offering beer and some bites (small snacks). Regular rates are $6.25 per person, per game. Youth and seniors is $5.25. Shoes are $2.50. We found we all had varying degrees of bowling skills. I came in a solid second place both rounds. Fred took the top spot both rounds and Catherine rounded it out in third/last place each round – coming to the realization that she is a terrible bowler, but still having a lot of fun in the process. 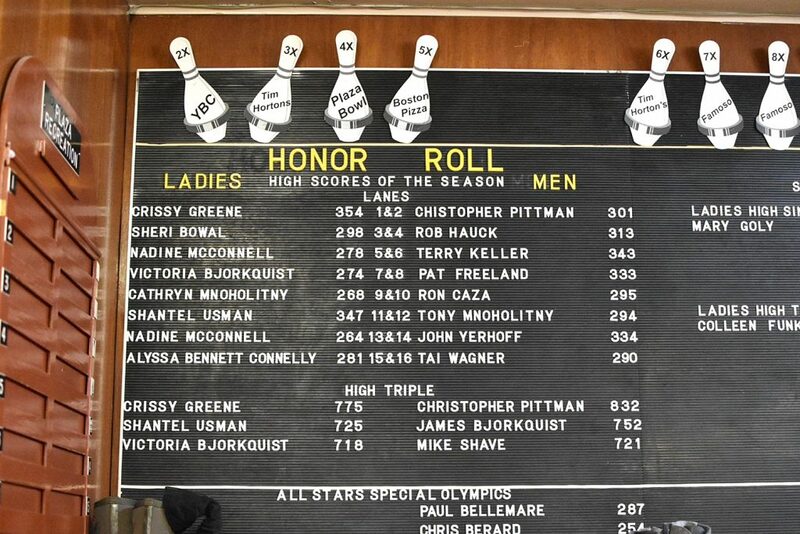 If you’re competitive – they do keep track of the high scores for the season. The owner was also telling us they had contemplated a Wall of Shame where you could voluntarily list yourself so watch for that potentially in the near future! Will you make it on the Honor Roll? Overall, we had a great time bowling at the newly revamped Plaza Bowling Co. and would recommend you check the place out! It’s a fun night out for families, friends, and couples (really – for all ages, from kids up to seniors). And it’s really nice to see the shops in that area of town getting some revamps. You could have dinner at Lan’s Asian Grill which is just down the street, followed by a round of bowling! 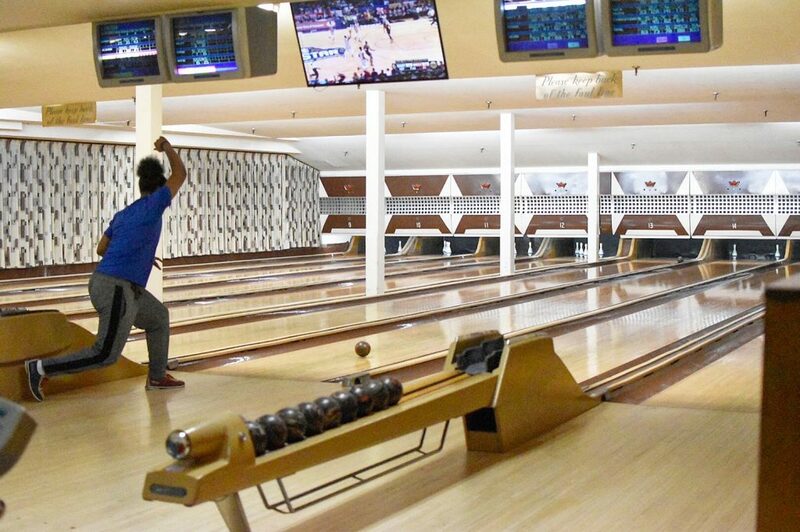 Of course, Plaza Bowling Co. isn’t the only place to bowl in Edmonton. The Rec Room (South Common) * I’ve been here for other entertainment and it’s awesome :) Just haven’t tried bowling. So have you been to Plaza Bowling Co.? 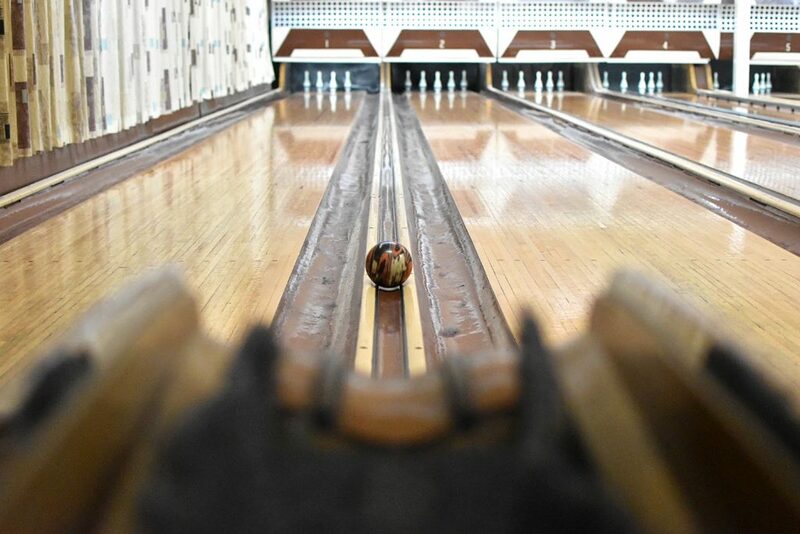 What’s your favourite bowling alley in the city? Tweet me or leave a comment below! P.S. Does anyone else wonder why all bowling alleys still use the same old school computer system and animations? Are there no modern bowling computer systems and animations? lol. Legitimate question if anyone knows the answer. On the East Coast we have candle pin bowling which uses small balls and 10 skinny pins. Super fun! Oh – and we haven’t even upgraded to computer systems yet – it’s all pencil and paper here.